Now imagine a parade in the streets for each event. That's the vision of Proverbs 11:10, in which thetsaddiqim--the people who see everything they have as gifts from God to be stewarded for his purposes--pursue their vocation with an eye to the greater good. 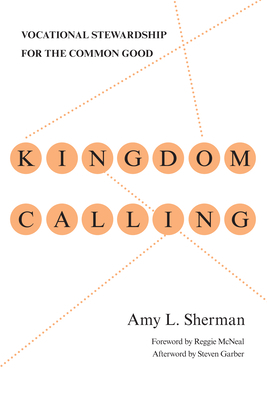 Amy Sherman, director of the Center on Faith in Communities and scholar of vocational stewardship, uses thetsaddiqim as a springboard to explore how, through our faith-formed calling, we announce the kingdom of God to our everyday world. But cultural trends toward privatism and materialism threaten to dis-integrate our faith and our work. And the church, in ways large and small, has itself capitulated to those trends, while simultaneously elevating the "special calling" of professional ministry and neglecting the vocational formation of laypeople. In the process, we have, in ways large and small, subverted our kingdom mandate. God is on the move, and he calls each of us, from our various halls of power and privilege, to follow him. Here is your chance, keeping this kingdom calling in view, to steward your faith and work toward righteousness. In so doing, you will bless the world, and as you flourish, the world will celebrate.